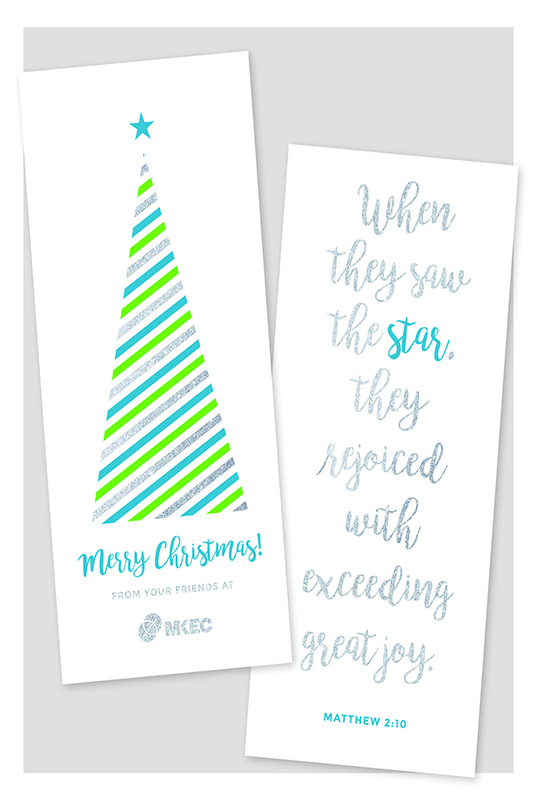 Merry Christmas and Happy New Year from all of us at MKEC! 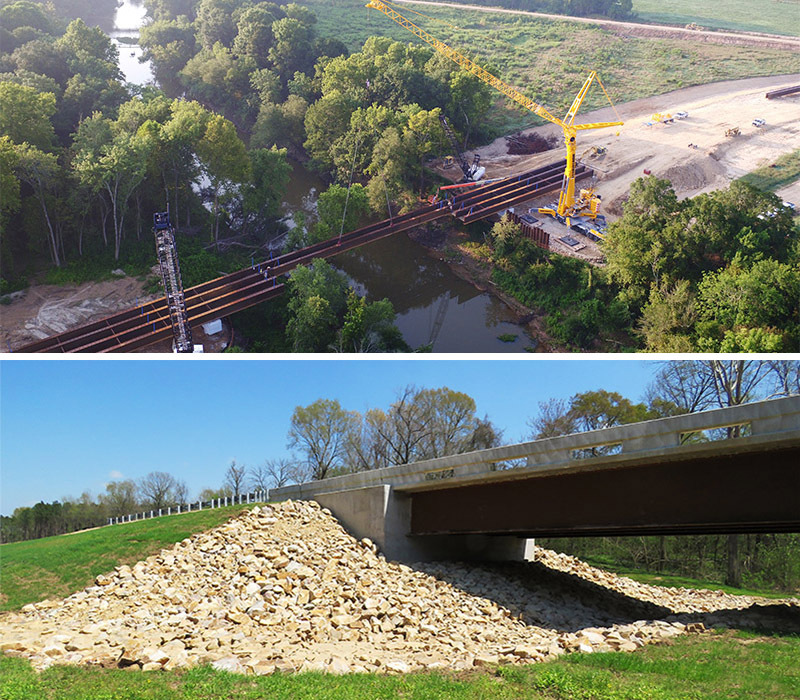 MKEC Engineering, Inc. was chosen to work on a section of the Eastern Oklahoma County Corridor project between SE 44th Street and Reno Avenue. 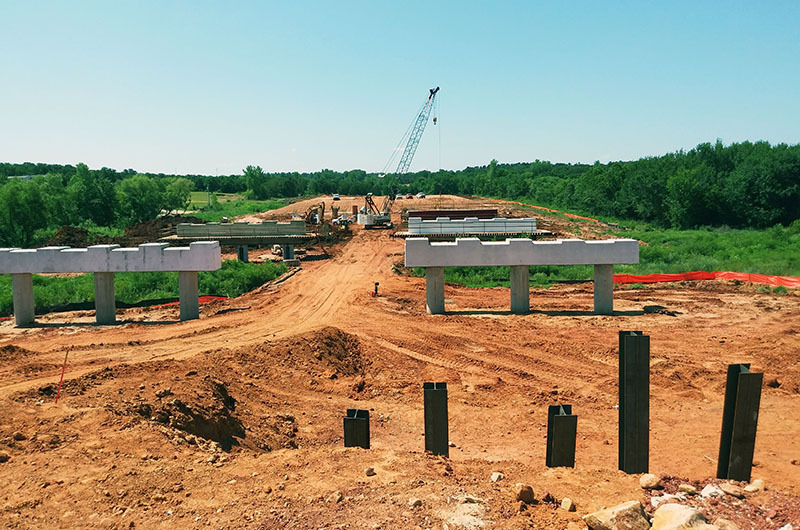 The new Eastern Oklahoma County Corridor alignment will connect I-40 to I-44 in eastern Oklahoma County, reducing the travel time between Tulsa and Oklahoma City. 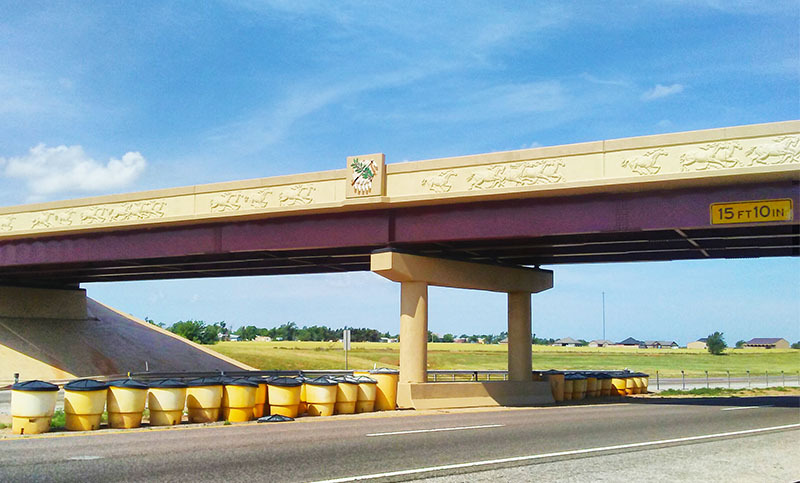 If you ever take a stroll down historic Route 66 and find yourself in Canute, Oklahoma, take a slight detour back to Interstate 40, and get a glimpse of the bridge that MKEC Engineering, Inc. helped reconstruct into a safety compliant, aesthetically pleasing structure. 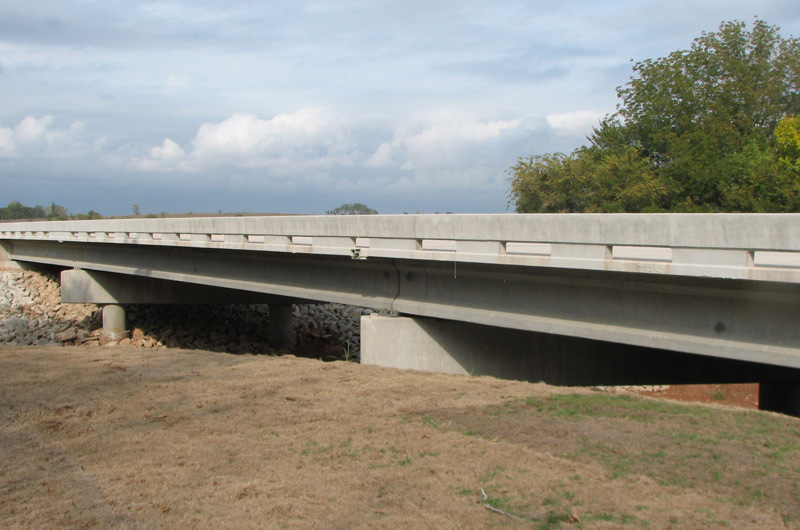 We were asked to design a three-span bridge to replace an existing outmoded 1931 single-span steel trestle bridge over a tributary to the Arkansas River in north-central Oklahoma. This included relocating a driveway at one end of the bridge.